In many countries, car insurance is considered as a legal requirement. 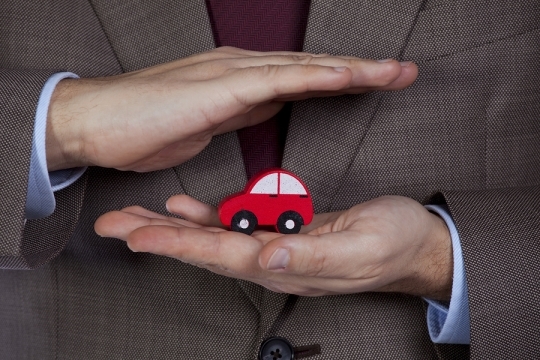 To drive a car on the road, owners need to have a 3rd party insurance coverage. However, it is important to make sure that the coverage isn’t too expensive and we may need to choose fully comprehensive coverage under specific situations. There are some people who don’t really understand about specific aspects of their policy. This condition could become a huge problem. As an example, car owners may need to make a claim and they are surprised to find out that they have picked the wrong policy. We may believe that if the car is stolen or an accident isn’t our fault, we won’t have to pay the excess. Unfortunately, this isn’t the case. In this case, we may get our excess back, if the insurance company have recovered all the costs related to the 3rd party. As an example, car thieves may not have been caught and in this situation, it is possible that we won’t be able to get our excess back. Many people agree for higher excess fee when they take out a policy, so they are able to reduce their premiums. However, we should do this only if we are able to pay out the amount during a claim. Previously, car insurers allow drivers to drive any car and this is possible if the driver is covered, not the car. However, it has changed and car is often the one that’s covered instead of the driver. However, some fully comprehensive policies may allow us drive other cars if we get a permission from the owner. Because this situation can be rather tricky, we should know the exact details and if unexpected thing happens, we will still be able to claim our coverage. If we are involved in some kind of accident, we could be liable for our own damage and this might be quite expensive. It is important that there’s a named driver in our insurance policy. It means that the car should be associated with a driver, often the owner himself. In this case, we may need to make sure that the car is insured in someone’s name and he could be more experienced on this matter. One important trick that we need to consider is to choose more experience driver, who is more mature and have perfect driving record. This is a somewhat dodgy tactic and it is possible that the insurance company will eventually find out and they are not stupid. The insurance company may perform a quiet investigation and our claim can be rejected in the future. One misconception that we need to consider that car insurance policies often don’t cover personal possession that we keep in the car. Some policies may include small provision for missing personal effects, but it could be limited to $100. So, if our expensive smartphone or laptop is stolen, we will not be fully reimbursed for our loss. In this case, it is better to avoid leaving valuable items in our car.